A 2005 graduate from the Communication and Film program at the Simon Fraser University, Jian Ping founded Picture’s Up Media in 2016 with the passion and aim to create quality films and TV programs that not only tap into the fast growing market in China but are also marketable in the North America. Over a decade working experience in the Shaw TV station has given him an insider’s understanding of the industry. His most recently credit was line-producer in the award winning film and TV documentary series Tricks on the Dead: The Story of Chinese Labour Corps in WWI (2015), a co-production between the Canadian company Rare Earth Media and the China Central Television. Tricks on the Dead won the 2016 Canadian Screen Awards (Best Cinematography, Best Production Design), 2015 Vancouver International Film Festival (Audience Must See Award), 2015 Guangzhou International Documentary Film Festival (Best International Production), etc..
Jordan Paterson is a Canadian media producer whose documentary films often focus on stories of migration and the social dynamics of communities through history. Paterson has worked in the Film and TV industry for almost 20 years and has written, produced and directed many award winning documentaries and commercials for broadcast. Broadcasts include CBC, Knowledge Network, TVO, Bravo! Canada, Fairchild TV, Omni TV Rogers, Guangdong Television (GDTV China), CCTV 10 China, and TV5. In 2013 Paterson received four Canadian Screen Award nominations for the documentary From C to C: Chinese Canadian Stories of Migration. The film was also awarded a Leo Award for best documentary program. Paterson’s most recent documentary series Tricks on the Dead: The Story of Chinese Labour Corps in WWI produced through his own company Rare Earth Media is a Canada-China-France co-production slated for broadcast with Omni TV and CCTV 10 China. The one-hour English version of the film has won the 2015 Leo Award for Best 1 Hour Documentary, Best Editing, and Best Cinematography. The 95-minute feature length version has been selected by the 2015 Vancouver International Film Festival and won the Must-See BC Award. It also officially selected by the Guangzhou International Documentary Film Festival and won the Best International Co-production. At the 2016 Canadian Screen Awards, Tricks on the Dead: The Story of Chinese Labour Corps in WWI received 4 nominations: Best History Documentary Program, Best Photography in a Documentary Program, Best Production Design or Art Direction in a Non-Fiction Program, Barbara Sears Award for Best Editorial Research, and won the Best Photography in a Documentary Program, Best Production Design or Art Direction in a Non-Fiction Program. 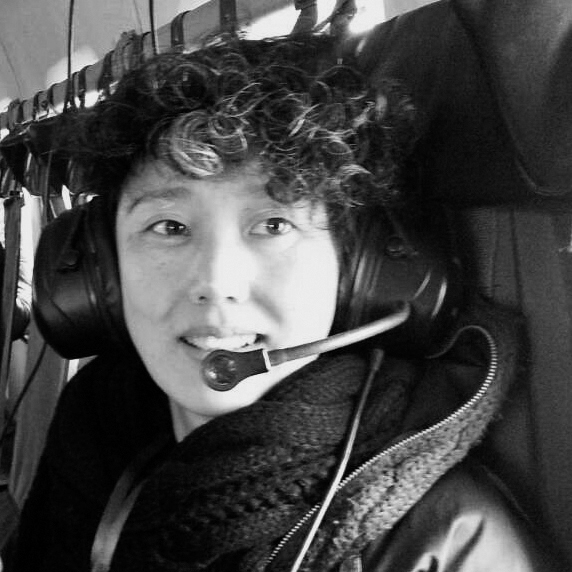 Ying comes from a background of independent filmmaking and contemporary media arts. Ying’s involvement with Picture’s Up Media focuses on integrating originally developed content with the fast developing digital technology, so as to explore the ways to expand the horizon for the films of diverse topics to be made and to be viewed. Ying is the writer and director of Dad, I’ll be Home Soon, a feature documentary scheduled to complete by the end of 2017. She was also the executive producer of the award winning film and TV documentary series Tricks on the Dead: The Story of Chinese Labour Corps in WWI (2015). Her first feature film Sisters (2005) was screened at international festivals. From 2007 - 2016, she was the founder and executive director of Cinevolution Media Arts Society, an award-winning media art organization that hosts an annual Your Kontinent International Film and Media Arts Festival and many cutting edge new media art projects. Michael was the Canadian producer of the TV series Adventure of the Big Cat (2015), If I Could Love You Again (2016), and Finding Mr. Right (2016) (a TV adaptation of the box office heat of the same title film). Coming from a business background, Michael joins the Picture’s Up Media with a focus on fostering more collaboration and co-production between China and Canada.